The only music show specifically made for this audience. Shot at BBC Radio 1’s studios, and fronted by a different celebrity music host each week, the series is made by the viewers for the viewers. 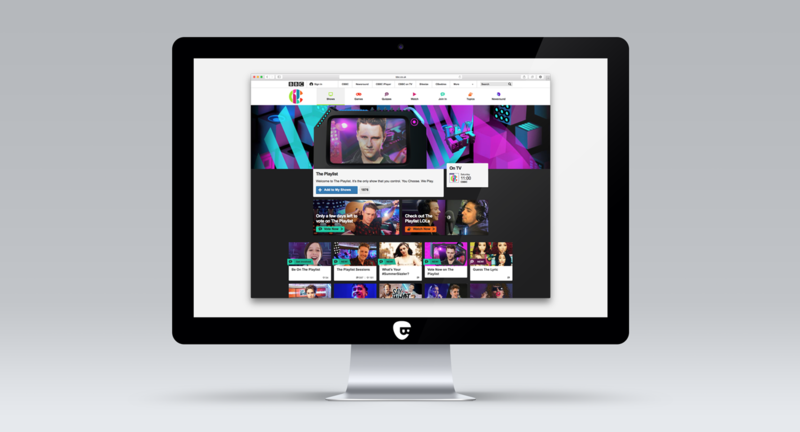 Not only do we produce the TV show, but also short form content to keep our growing digital audience engaged throughout the week as we produce bespoke content for YouTube, online and social media. New ground has been broken on Twitter, we’ve brought hundreds of thousands of views on the YouTube channel whilst producing a weekly, fast turnaround TV series across 40 weeks. A team of five produce and direct the show and with a budget that means only an indie like ourselves could deliver, our in-house talent can write, shoot, edit, tweet, production manage and sound mix the entire show each week. The most-streamed A-listers, the best tunes and videos plus Radio 1’s king of the charts Greg James unveils the UK’s latest Official Top 10 countdown. It’s your unmissable destination for all things music. The Playlist. You vote. We Play. Hosted by Jack Maynard, Lauren Layfield and Yasser.